Out of StockThe Spacious MindThe No. 4 Or 5 Gravy BandLP • 200 CopiesAfter years in the making, the new and long-awaited offering from the unrivaled masters of Swedish psychedelia! Beautifully hand-screenprinted and assembled die-cut packaging, including a fold-out poster/innersleeve. 180g Black and White vinyl color variants. Out of StockThe Spacious MindThe No. 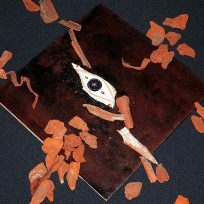 4 Or 5 Gravy BandSpecial Edition • 99 CopiesStrictly limited art edition including an exclusive LP color option - Orange vinyl with Black splatter (on yellowish packaging) -, a hand-painted collage-based 12″ canvas/board and a bonus disc with exclusive material. The whole set housed in an extended tri-fold outer sleeve. 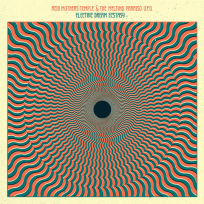 Order This ReleaseAcid Mothers Temple & The Melting Paraiso U.F.O.Electric Dream EcstasyCD • 500 CopiesThe newest Melting Paraiso U.F.O. chapter! CD edition housed in our custom, high quality sturdy tip-on mini-LP gatefold packaging, including OBI strip and a bonus track. 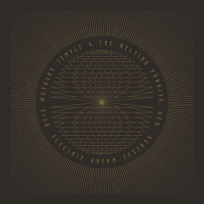 Out of StockAcid Mothers Temple & The Melting Paraiso U.F.O.Electric Dream EcstasyLP • 200 CopiesVinyl edition housed in a screenprinted heavy-weight black stock sleeve with gold ink. Utterly different artwork from the CD edition. 180g high-quality wax. Greetings! 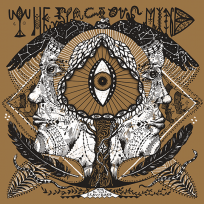 We are honored to start the year with a beautiful new release from the masters of Swedish psychedelia — The Spacious Mind! Available now on limited and carefully crafted LP and Special Edition.